Some yachts live forever. 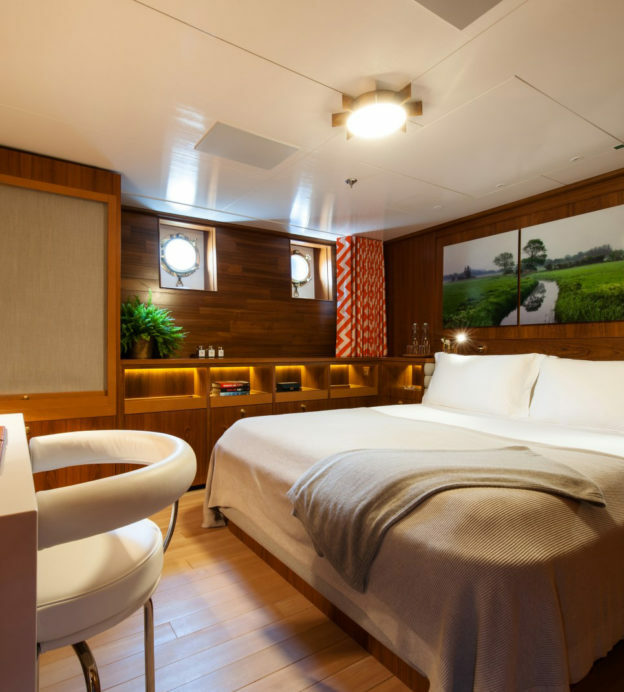 Checked into shipyards around the world for countless renovations and reinventions, they are redesigned, redecorated and rethought — but always sail again. The Champagne smashed on Haida in 1929 when, as her name suggests, this clipper-bow yacht was built by Krupp Germaniawerft for millionaire Max C. Fleischmann. Created to be exceptionally strong, she was to serve for long scientific, fishing, and pleasure cruises in the Pacific waters off the Californian coast. After Fleischmann, a born-eccentric, painted the entire vessel completely black, he sold Haida to the US Navy in October 1940. A 3.5” gun was mounted on the forecastle and she was renamed the USS Argus, a lifetime during which she rescued shipwrecked sailors from the stricken John A. Johnson during World War Two. After a post-war stint serving the United States Geodetic Survey, Haida was bought by Egyptian cotton magnate Maurice Ada, renamed Sarina and relocated to the South of France. British Member of Parliament, Loel Guinness, then bought Sarina in 1969, before his ill health forced him to sell to film producer Robert Stigwood. 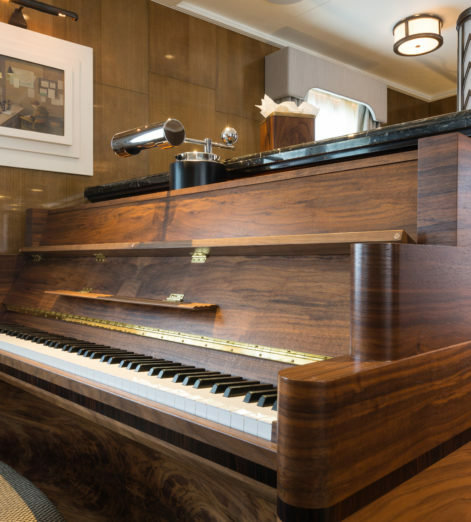 Already a world away from the all-black vessel of the Fleischmann era, Stigwood mounted a second false tunnel on Sarina and redecorated her interior in an English country house style. 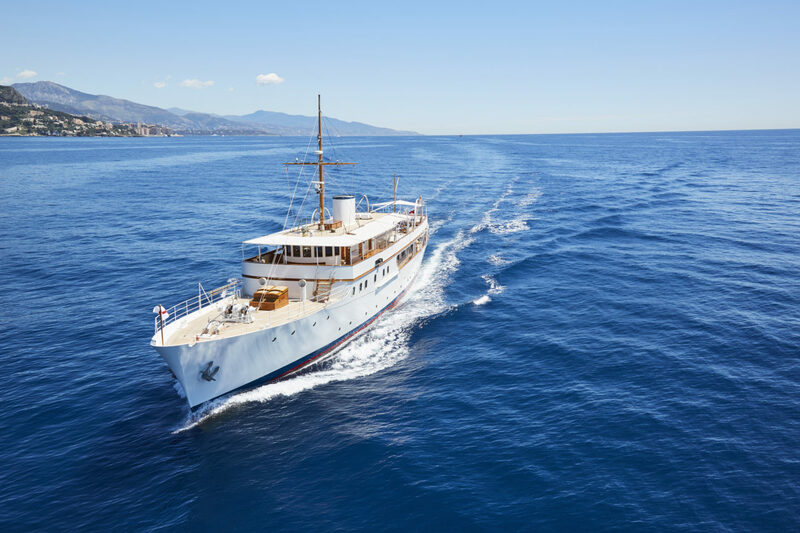 Renamed Rosenkavalier, and then Haida G and, finally, Dona Amelia, she changed hands again and again until the Pendennis Shipyard finally got hold of her in 2016, and in a restoration that paid homage to her heritage, renamed her Haida 1929 — a fitting nod to an incredible history. Commissioned by one half of the Dodge Brothers — yes, those of the cars — this boat has spent her almost-century on the water flitting between two names. The former, Delphine, is a name that evokes the sleek, chic luxury qualities of the yacht. But her other moniker, Dauntless, is perhaps a more fitting name for such a daredevil of a vessel. Her first baptism of fire came when she was set ablaze in 1926, feared finished after showering New York harbour in shimmering flames. However, after a painstaking recovery and restoration, she took to the waters again — only to run aground in the north’s unforgiving Great Lakes in 1955. Never one to give up, Delphine enlisted in the United States Navy, where she was rechristened Dauntless. Under the watchful sailing of Admiral Ernest King, Dauntless served as the flagship for the Commander-in-Chief of the US Fleet, and the headquarters of Naval Operations. After the war, she was resold to the Dodge family, and enjoyed a slightly less exciting life of event hosting and weddings (due to her Portuguese flag, the Captain may perform ceremonies). 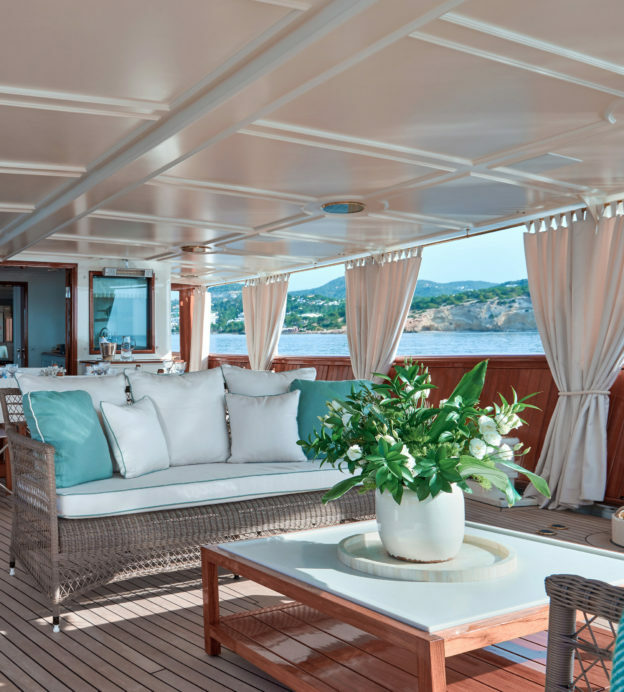 Today, bearing the named Delphine once more, she is available for charter in Monaco. 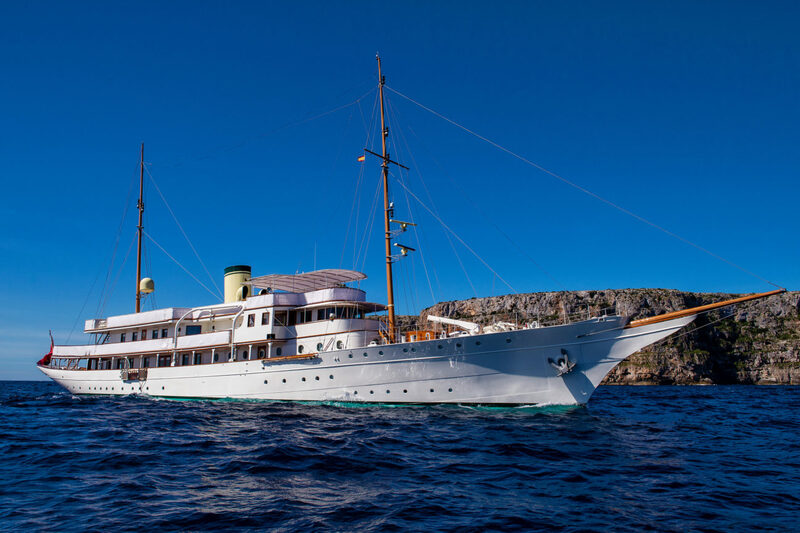 First launched in 1937, Malahne is a superyacht with true star quality. 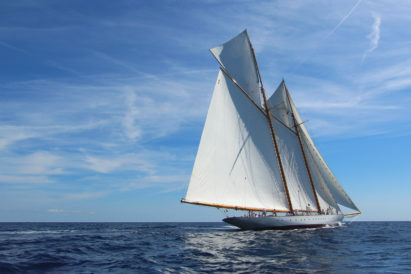 Commissioned and built by Yorkshire-born retailer and businessman William Lawrence Stephenson, who ran operations for American juggernaut FW Woolworth in Britain, the yacht spent her first years cruising the Mediterranean with relative constraint. Thankfully, that wasn’t to last. After briefly helping out in the iconic and harrowing evacuation of Dunkirk, Malahne was bought by one of the most impressive and influential figures of the golden age of Hollywood, Sam Spiegel. The Polish-born American, and recipient of three Oscars, bought Malahne to become the floating headquarters for production on the David Lean epic Lawrence of Arabia. 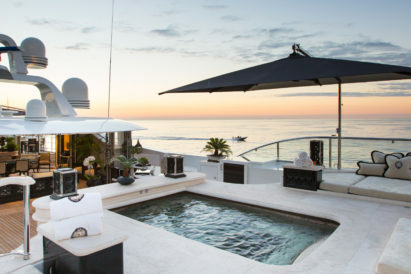 She quickly became not just the most famous yacht in Hollywood circles, but across the world. 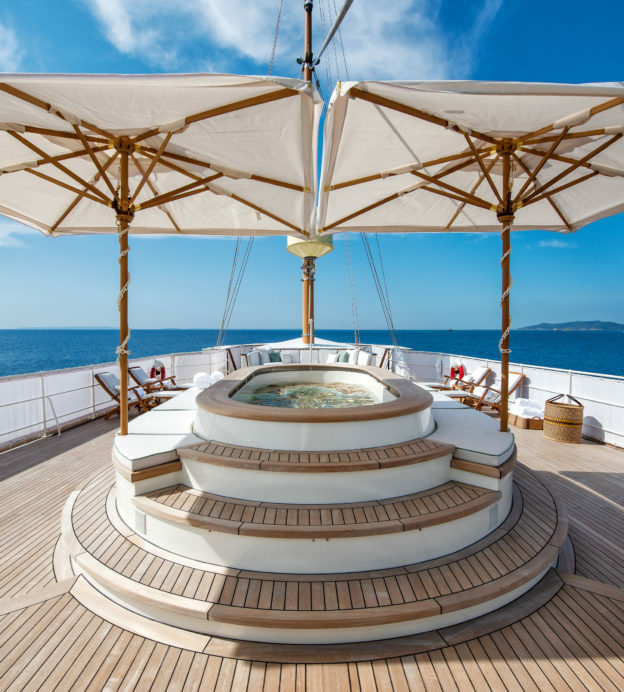 Spiegel entertained a veritable who’s-who of guests on-board — from Elizabeth Taylor and Grace Kelly to Kirk Douglas and Jack Nicholson. Frank Sinatra even stepped aboard a couple of times, and the vessel’s beautiful interiors were used as the set for James Mason and Raquel Welch’s 1973 murder mystery The Last of Sheila. 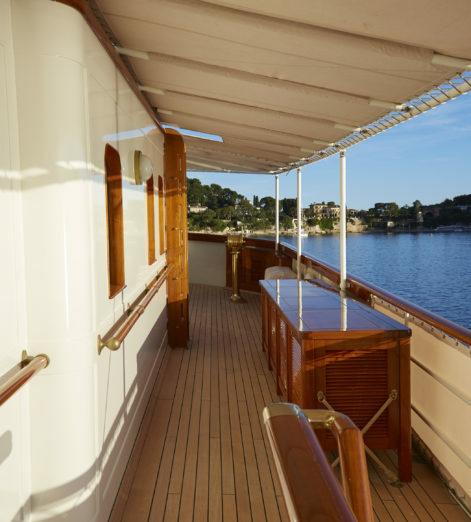 Today, thanks to the Pendennis Shipyard, Malahne has been restored to her original 1937 specifications, to both bring a historic boating experience back to the water, and to honour the vessel’s thoroughbred and considerable cinematic heritage. 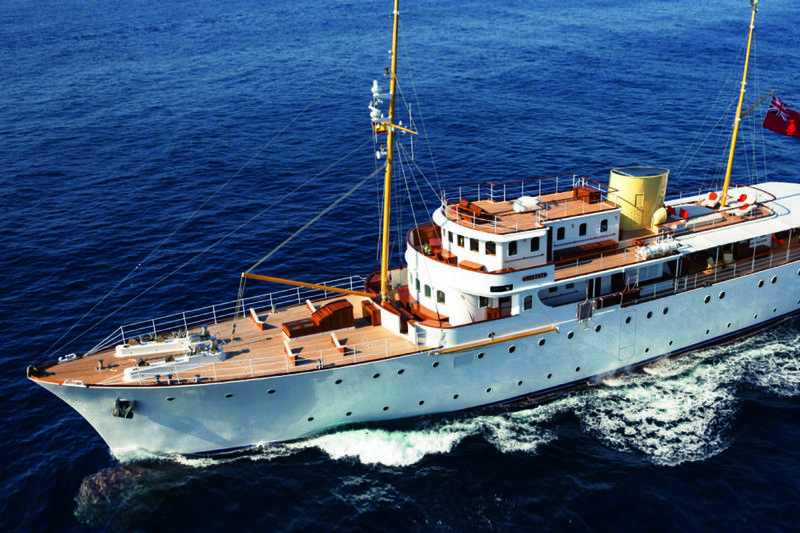 One of the last large steam yachts to be constructed in the UK, Nahlin was built for Lady Yule in 1930. Six years later, she set sail on perhaps her most important voyage — a charter by King Edward VIII in his scandalous courtship of American socialite Wallis Simpson. 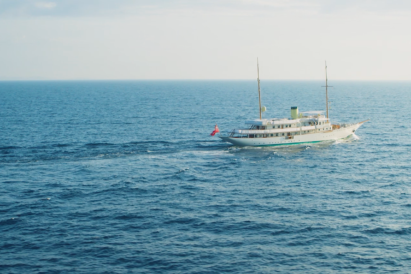 The two cruised the Adriatic Sea together, during which the King replaced all the books in the on-board library with bottles of alcohol to create a makeshift bar. It was a precursor to the impending abdication crisis of King Edward, and became front page news. The scandals aboard Nahlin didn’t stop there. 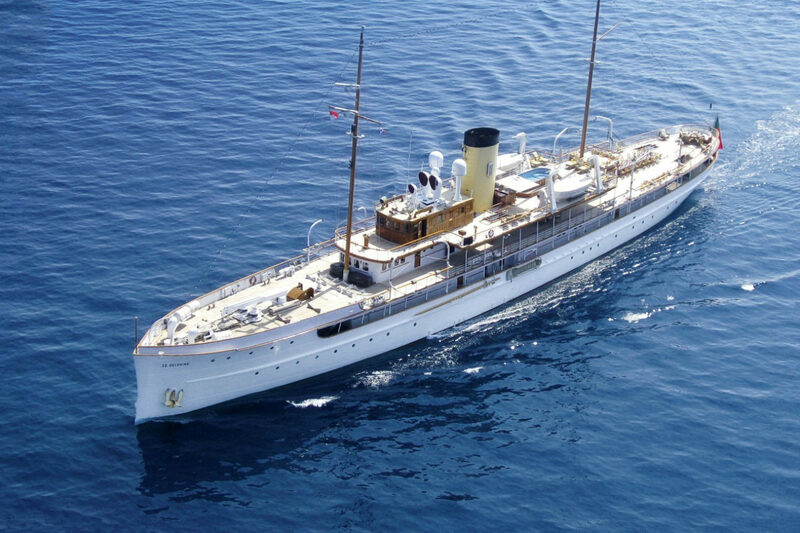 She was renamed Evening Star, and then Liberty, when purchased by King Carol II of Romania, but saw his abdication also. Red tape ensued, and Nahlin’s fates shifted. From the vessel of kings, her ownership fell several stations to the Romanian Ministry of culture and she became a floating restaurant. The 1989 Romanian revolution, however, gave Nahlin a chance to escape these bond, and she was restored in Liverpool just after the turn of the century. In 2006, Sir James Dyson bought Nahlin and the vessel of kings remains with the successful British industrialist to this day. 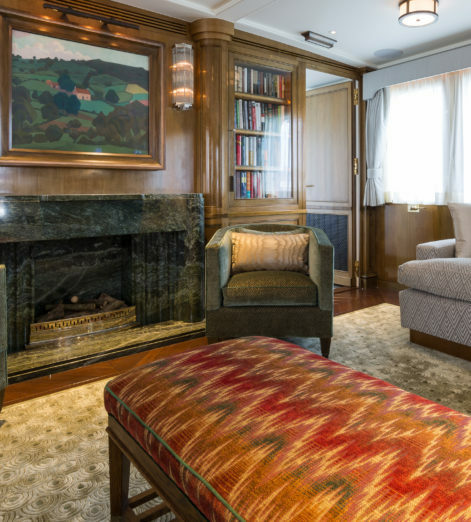 Shemara is a yacht with a storied naval history. 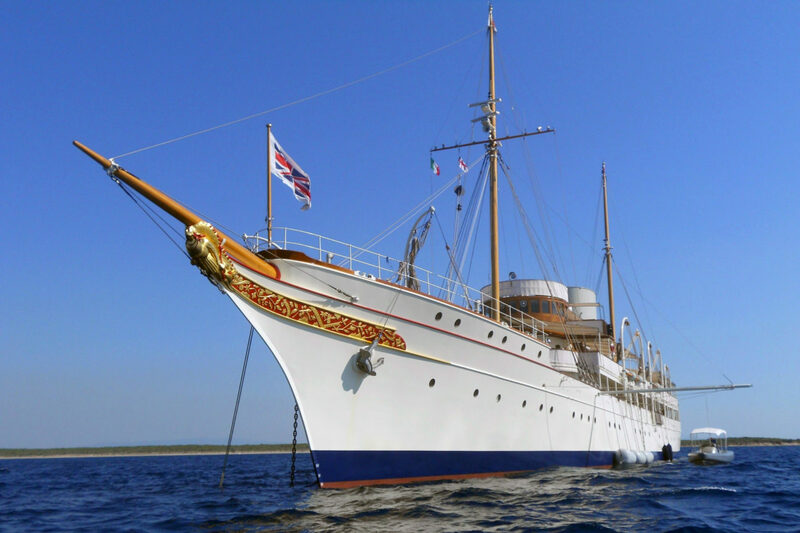 Although she was originally launched in 1938 by JL Thornycroft, leading a colourful, exciting life in the limelight under the ownership of Sir Bernard Docker, she was requisitioned by the Navy during the World War II and served as an A/S vessel and later as a training vessel. Docker got Shemara back after the war — and wasted no time making up for lost time. He threw lavish party after lavish party on her decks, with guests including the esteemed King Farouk of Egypt. At the end of the 1960s, she was privately sold, but then spent the better part of three decades forgotten — unsailed and unloved. 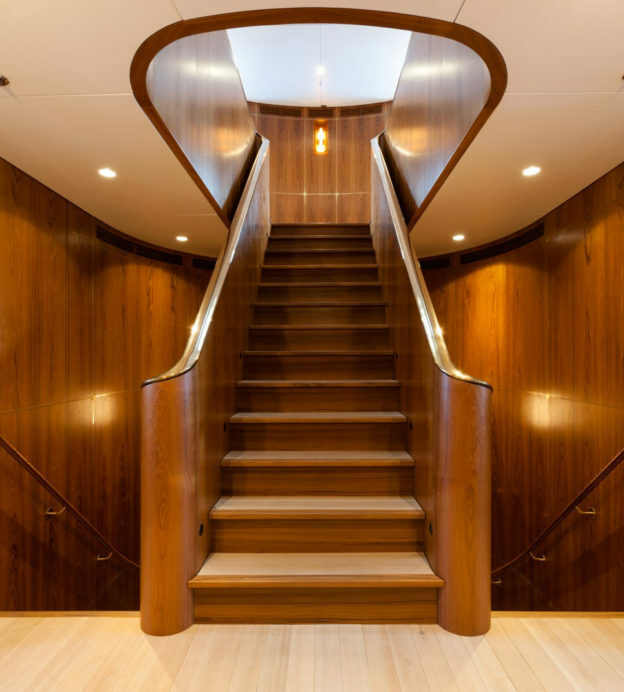 In 2014, all four decks saw a huge refit, the grand staircase was renovated and as much of her original steel and teak was polished to a high shine — readying the vessel for more decadent, hedonistic parties that she’d been missing for the last decades.